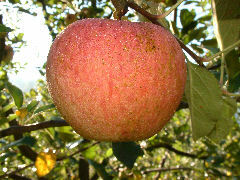 Although not considered an “heirloom” variety, Kidd’s Orange is an fine dessert apple which deserves its place in the home orchard. 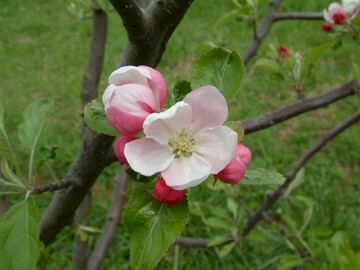 It originated in 1924 in New Zealand as a cross of Delicious and Cox’s Orange Pippin. The vigorous and precocious tree produces fruit which are medium in size with yellow skin flushed with orange and striped with scarlet. The cream colored flesh is crisp, firm, sweet and highly aromatic. Ripens in mid to late September. I am looking for Kidd’s Orange Red tree, prefer M26 root stock, or scion wood. If available please include prices including shipping.